Home→Uncategorized→Another Satisfied Log Home Owner! What we enjoy most about being representatives for Timberhaven Log and Timber Homes is being able to meet a variety of people from all walks of life who have a common goal – to own a log or timber frame home. Having researched log homes for almost 30 years before fulfilling our dream of our own log home, we have gained a wealth of knowledge in this field. And now we enjoy sharing that information with our Clients so that they can save time and money, and we can enjoy the feeling of helping them make their log or timber frame home dream come true. Recently Log Home Living magazine contacted us about doing a feature home article on one of Clients, Scott and Deann Salvo, and their log home experience. 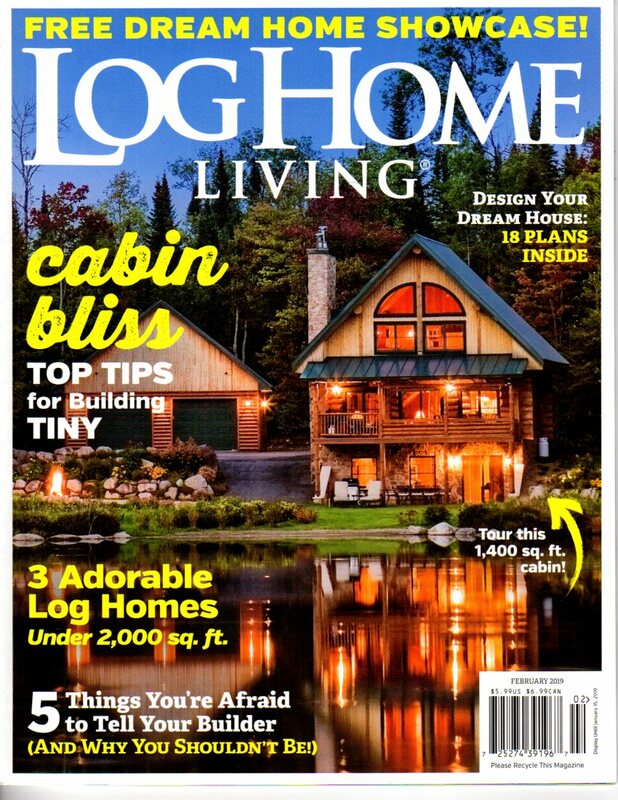 This article appeared in the February 2019 issue of Log Home Living and, after you read the article, we are sure that you will find that we are THE company and representatives to work with to make your own log or timber frame home dream come true! our exclusive periodic publication, the Log Living Gazette, which features a variety of articles pertaining to log and timber frame homes and their ownership. So why not save yourself a lot of time and frustration by contacting us NOW. Morningdale Log Homes is always here to help you! Working with Morningdale Log Homes, Scott and Deann Salvo were able to build their dream log home on 103 acres in northwestern Pennsylvania.